Comfortable and well-equipped with a long warranty, the Toyota Avensis is a mix between the hatchback and saloon models. 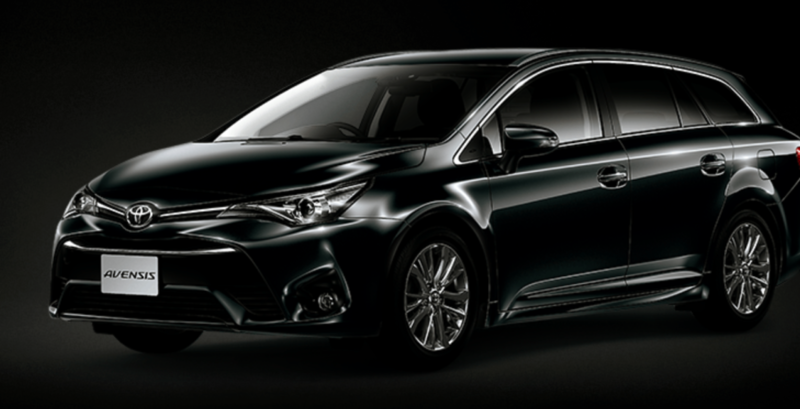 Like most Toyota cars, the Avensis is keenly priced and covered with a five-year/100,000 mile warranty that is alluring to those looking for a long-term vehicle. While it is not as spacious as the Skoda Superb or the Ford Mondeo, it is comfortable for the passengers as well as the driver. The boot is also spacious at 509-litres, but it is styled much like the saloon in that there is no handy hatchback. The range is also simple for the consumer to understand because the Avensis only had four trim levels and there are only three engines for the consumer, which makes choosing much easier. The Avensis was designed for longer trips with its softer suspension to give the driver a smooth and comfortable ride on the highway. Though the 2.0-litre engine may not be as quick as others, it seems to be the best choice for the Avensis, as it offers the most flexibility from the low rpm. The driver’s seat and steering have plenty of space for movement and though the earlier models do not have it, most active models are also equipped with an adjustable lumbar support. The visibility in these cars is also good, as the view to the rear is much clearer than that of the Avensis’ rivals. While the suspension is built for long trips, larger bumps, expansion joints, and sharp ridges are generally spread throughout the cab, which risks unsettling the car. Bends can also make drivers wary, as the Avensis will lean in a little with the precise enough steering that yields little in the way of feedback. While the gearbox can be pleasant to use, it can also feel awkward to move around. Diesel engines are also a concern because they are behind the refinement of those found in cars such as Skoda Superb and can sound gruff when they are idling or at a higher rpm. These engines may also cause vibrations through the pedals and steering wheels, but they tend to settle down more while on cruise. The noise can also become loud when the Avensis is run over rougher surfaces and there may be some wind noise. Petrol may seem like the cheaper option to buy but it is used up faster and unfortunately, it is the only option for those who are looking to have a gearbox. While the 1.6-litres can offer better emissions, it tends to be underpowered for a car that is the size of the Avensis, which makes it a difficult choice for the modern consumer. Inside, the Avensis is made of hard plastic where passengers interact regularly, including the handbrake switch that feels cheap and not as well hidden as with other cars of its type. There are areas of soft plastic, but overall the cabin tends to look dated, including the infotainment system, which makes it slow and dark while switching between screens.